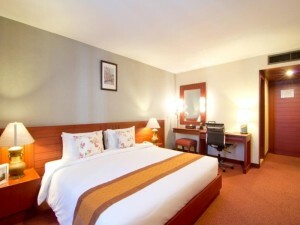 The Manhattan is a large hotel on Sukhumvit 15 with more than 200 rooms and suites. Renovated in 2011, it’s an older building that has been brought up to modern standards and offers a comfortable experience. 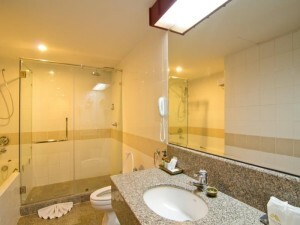 Rooms are very spacious and some have good views of Bangkok’s skyline. All rooms have free Wi-Fi with good connection speeds. The Manhattan Hotel has a swimming pool and fitness center for guests. Located about halfway between Nana and Asoke stations, it’s possible to walk to both from the hotel, as well as to Terminal 21 shopping mall.